A tough day for the "bluebird of happiness". A day of snow, sleet and rain made for a busy day at the feeders. All puffed up to stay warm. Nice detail! 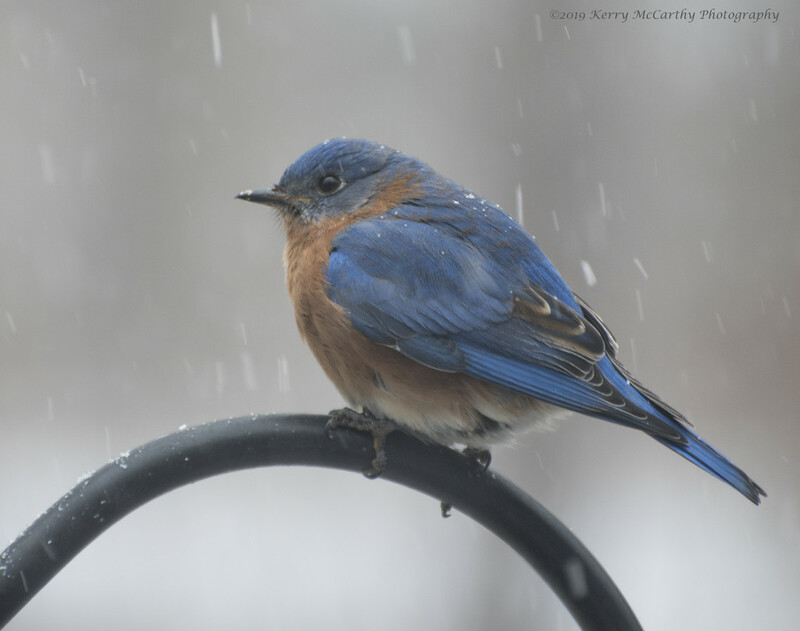 His blue is gorgeous against the grays of winter weather. You create such lovely bird pictures. Wonderful capture I hope it enjoys some better weather soon. They are such a pretty shade of blue. Beautiful shot.